What was the real reason behind Uncharted 4's delay? Free-to-play games have gone from an experiment to a dominant business model in the past decade. Despite the evident popularity, there seems to be an ever-increasing number of naysayers who would lichen free-to-play games to a fungus that thrives on microtransactions. Regardless of your opinion of the business model; it got past the experiment stage for a reason and it might be here to stay. The free-to-play model is relatively new as far as major success goes. There have been free-to-play online games for a long time, but most of these were indie or for marketing purposes. One of the first free-to-play experiences I recall is Anarchy Online, which instituted a “Free Play” program, which was supported by in-game advertising. The first market in which this trend exploded was South Korea and China. These countries adopted a PC culture relatively early with high-speed internet infrastructure setup by the government. Not to mention the console ban in China, which forced gamers onto the PC. Free-to-play online games exploded since everyone in these regions had access to them. These games thrive on player-interaction, which creates loyal players who come back and spend money on the game to advance with their friends in the game and enrich that experience. Facebook as a platform was also a place for innovation in free-to-play. Facebook provided access to far more than the core gamers player base and charged no fees. 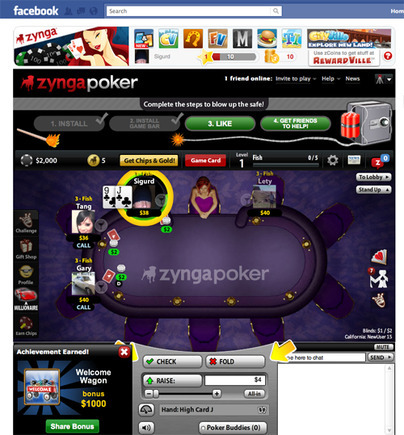 This allowed game creators like Zynga to profit easily on low-priced purchases. And again, the platform being innately social brought players back again and again. Now in modern gaming, it’s hard to find an online game that isn’t free-to-play. Competitive games like League of Legends, Dota 2, and World of Tanks and nearly every MMORPG have adopted this model. Game developers have learned how to best take advantage of player behavior in online social environments. Make it free to get into the carnival and players are more likely to pay for the rides while they’re there. And of course mobile gaming, which started with a premium price model, quickly shifted to free-to-play when in-app purchasing was introduced by Apple. Now we see roughly 90 percent of mobile games are free-to-play. Games like Clash of Clans and Game of War have some of the biggest marketing budgets of any game, having high profile commercials, even during the Superbowl! These games can make over $1 million in a single day. These games have become more of a game as a service than a singular experience. Now, other than a new way to get your money, how has the free-to-play movement affected the industry? The most obvious is the prevalence of microtransactions in nearly every game. Forza Motorsport and Call of Duty are notable ‘core’ games that now include add-on content that you’ll need to pony up some extra cash for. These don’t quite match the level of microtransactions in Candy Crush Saga, but it’s certainly a derivative of turning a gaming experience into a long-term service. We also see many ‘Toys-to-Life’ games like Skylanders, Disney Infinity, and LEGO Dimensions constantly giving players new ways to spend their money. The most worrisome effect of the free-to-play trend for me is publisher pressure on studios to make free-to-play games. Publishers see how microtransactions and many free-to-play games bring in big profits, so naturally they want a piece of that pie. Just look at the number of companies that went into the free-to-play MOBA market. Potentially excellent games can be cheapened when they’re inflated with content to get the most out of players’ wallets. Other common complaints with free-to-play games and add-on content include that some games feel incomplete until you pay for the extra content. For example, in most MOBA games, you can’t access the full roster of heroes unless you pay for each one. Greed, exploitation, cheap tricks, unfair, money-grabbing are all words critics use to describe free-to-play. Using psychology tricks to keep players spending money without them realizing how much they’re spending. Though many free-to-play games aren’t what core gamers like to play, there’s clearly a market for them. As an industry grows, we have to be mindful of the different audiences within it. And it is pretty plain to see that the game industry has grown on all fronts, which can at least in part be attributed to the accessibility of the free-to-play model. Having no entry fee for a game also lets players pay in proportion to their enjoyment of the game. If they don’t like it, they never have to pay and can stop playing right away. For a standard AAA title, the entry fee is $60 no matter your level of enjoyment. More often than not, this purchase is based on nothing more than pre-rendered screenshots and videos. Although free-to-play has grown immensely, it isn’t applicable to every kind of game. We can rest assured that many games will remain free-to-play-free. It works for mobile, MMOs, and MOBAs, because they’re very social games. Microtransactions may be integrated into AAA console and PC games, but there have yet to be major examples of success outside of Call of Duty map-packs. You won’t see virtual items or skins in Telltale’s The Walking Dead or The Last Guardian. So, with fear of the free-to-play doomsday safely out of our minds, how can we effect change? Simple, support the games that you want to see more of and let the others die off. I believe we’ll reach an equilibrium on mobile of non-shady free-to-play and quality paid games like Minecraft, Limbo, and Fireproof’s The Room. Free-to-play games service a specific audience that enjoys them and add thousands of jobs to the industry, so why not let them stick around. The gaming industry is growing and there’s plenty of room for everybody. Let us know your thoughts on free-to-play games, microtransactions, and add-on content in the comments below! Tell us about notable experiences you’ve had with these good or bad. Do you think mobile gaming will remain mostly free-to-play?